Size: 2.5 " x 12 " - A tapered 6" high monolith of pure, sparkling optical crystal accented with a single groove on all four sides. 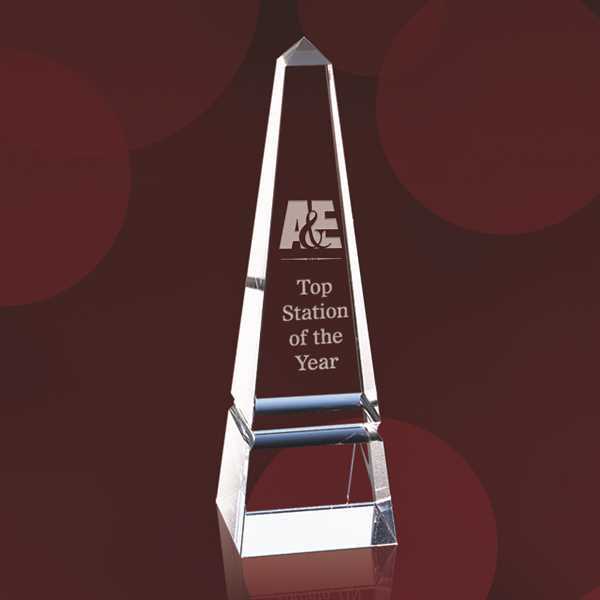 A simple, classic award designed to illuminate the message, not overwhelm it. Second position etch optional. Also available in 8", 10" and 12" versions. Size: 2.5 " x 12 "